Hank Schwaeble’s Jake Hatcher is back in his third novel, The Angel of the Abyss. As always, and just like his short fiction, Schwaeble crafts a rollicking good tale that will keep you turning the pages. The beginning of this tale has Hatcher facing a demon, although it’s more complicated than that, giving Hatcher time to exercise his sarcastic wit. Fans of Supernatural and Ash vs. the Evil Dead will definitely appreciate the humor. The mood becomes more serious and dire in the second act. The middle of the book, unlike many writers who get bogged down at this point, is where Schwaeble really shines. He does a great job writing from the perspective of Amy, Jake’s true love, who is also a former cop. I actually enjoyed Amy’s scenes even more than Hatcher’s. The two of them fight like the proverbial married couple, of which, I’m sure, many readers will be able to relate. Schweable also does a fine job of taking on the perspective of a young boy. We meet the boy while he’s in a precarious situation, and we know from the beginning that the boy will converge with Hatcher and Amy at some point in the story. I won’t spoil it for you, but I think you’ll be racing to the end to find out what happens. Hatcher’s past is constantly catching up with him, complicating things, and fans of the series will get some closure on events that were set up in the previous volumes. New readers can start here; Hank does a great job of bringing you into Hatcher’s world. You won’t feel left out or confused. The last third of the book builds up to a hellish crescendo leaving this reader wanting more. There are questions left unanswered, promising a fourth book in this popular series. The Angel of the Abyss has it all: likable characters, demons, black magic, possession, secret military installations, cults, and lots of action. If you want a story to get you in the mood for Halloween and beyond, pick up The Angel of the Abyss. You won’t be disappointed. Highly recommended. This entry was posted in Reviews and tagged Authors, Books, ebook, Fiction, Genre, Horror, Novels, Writing on October 31, 2016 by David North-Martino. Caesar’s Ghost is a well-written mystery or mhistory (mystery + history—-do you see what MacRath did there?) with a splash of the speculative. What would happen if Julius Cesar returned—-could live again in our current time? A man with that type of ambition and cunning would surely set his sights on some amazing conquest, wouldn’t he? Along the way, Caesar is reunited with Cleopatra (Cleo), and teams up with some colorful characters, including a college professor, a private investigator, and even a mob boss. Yes, as you will see, they all become very close as Caesar works out a grand scheme to the benefit of all… Well, maybe not all. But—-at least—-to some! I’m being a little cryptic here. I don’t want to spoil it for you. This is such a unique book, and it has something for the mystery lover, the lover of noir, and for those who have an interest in history. No one else would have dared to write this book. No one else could have written this book. I recommend it wholeheartedly. Go on… Grab it! I know you want to. Quickly now. Adventure awaits. This entry was posted in Reviews, Uncategorized and tagged Authors, Fiction, Mystery, Thriller on January 27, 2016 by David North-Martino. April was a challenging month to say the least. Had to use much time and energy to deal with some issues. May was a much better month, but very busy on the positive side. My insurance company billed incorrectly for an ER visit last year. This led to the hospital trying to bill me for the difference, and before I could get it resolved they sent it to a collections agency. Many phone calls, letters, and much stress later, it now seems to be resolved. It only took a month and a half. A family member had a work challenge that continues. I can’t divulge much, but suffice it to say that it has taken time and stress to get it resolved. We had a neighborhood issue that required phone calls and letters to resolve, and we’re still monitoring the situation. Patty contracted and got over a bronchial infection. We had to resolve a wireless network issue in May. The sun was in my eyes! Halloween’s Child Redux continues slowly, now clocking in at 3,500 words or 14 pages. Wrote a 30 word bio for AnthoCon. The Tower (Paranormal Haunting/Woman in Jeopardy Crime Thriller) Now at 106 pages or 26,250 words. I’ve had to hunker back to move forward, requiring some fun research into Wing Chun Kung Fu as well as significant research into the nursing profession. Year of the Demon (Conspiracy/Crime Thriller) I polish edited approximately twenty scenes, and I like how it’s all coming together. The actual editing is a tedious slog, however. This is the part I like the least. The only thing more tedious is the final proofread where I work thorough the book fixing typos and commas. I began work on a non-fiction project that I may write under a pseudonym. I wrote 2,389 words or 9 pages. Completed the Indy Author’s Pack. Became a backer of Editor Rick Schober’s The Whole Shot: Interviews with Beat Poet Gregory Corso. Purchased the Signed & Numbered Limited Edition novella (#18) of Baby’s Breath by Sydney Leigh. Called my Mom & Dad approx 1x per week. Brought Patty to her dentist appointment and yearly physical. Took care of Patty while she had a bronchial infection. Visited my Mom & Dad in Webster for a Mother’s Day breakfast. Spent a couple days at Mohegan Sun while my wife was in a seminar. Made a 20th Wedding Anniversary trip to Kittery, ME. I figured some retail therapy was in order after dealing with me all these years. After Patty felt better we resumed the Filipino punching and kicking drills. We also worked in some basic boxing drills on focus mitts. 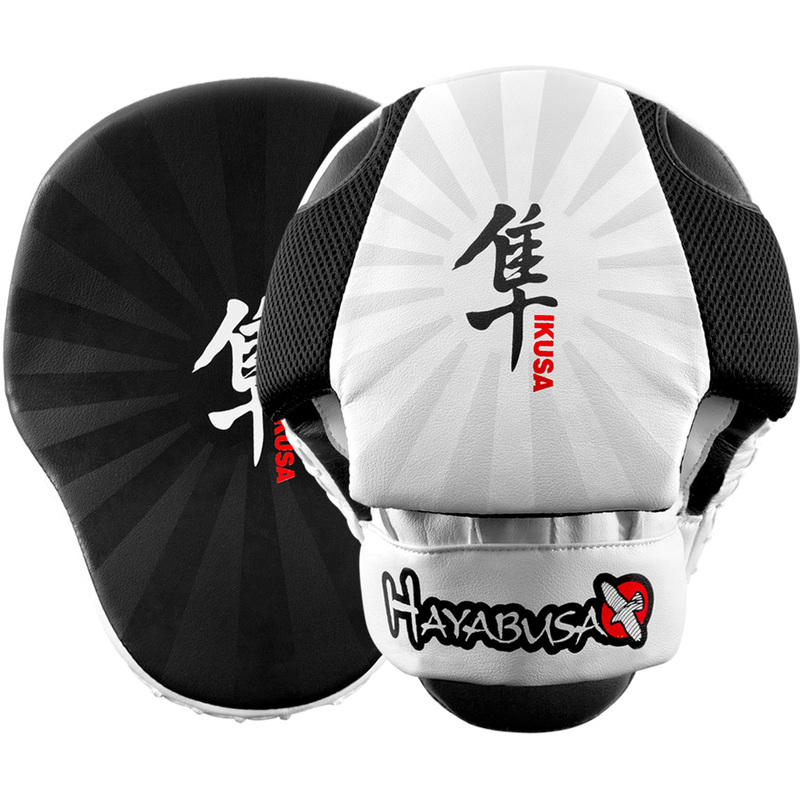 Purchased a new set of Hayabusa Ikusa focus mitts. Lost 2 pounds of fat. I continue to move in the right direction, and now I’m at the lowest weight that I have been in years. Resumed physical therapy leg exercises. Worked with Tufts to resolve a billing issue. Leveraged taxes to a tax preparer. Went to the dealer for C service and to replace the driver’s side headlight on Patty’s car. Washed my car including undercarriage. Washed Patty’s car including undercarriage. Spent a significant amount of time Spring cleaning our townhouse. Cleaned and polished kitchen cabinets. Fixed scuff on kitchen table with wood markers. Fixed scuff on floor with wood markers. Rearranged living room and reappropriated organizing furniture from other rooms to cut down on clutter. Pulled everything out of the spare room and cleaned. Prepped HVAC Vents for summer. New York Deli in Westboro. 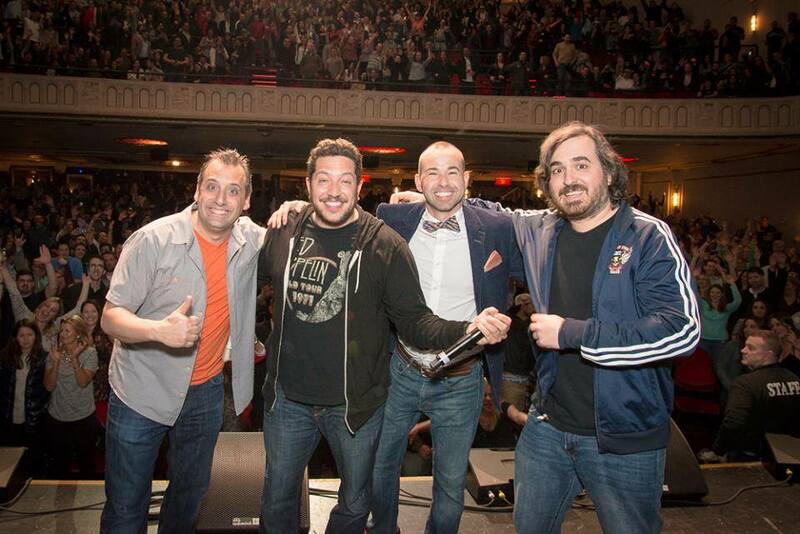 We ate at Juniors NY Deli at Foxwoods and then went to see The Tenderloins/Tru TV Impractical Jokers at the Foxwoods Grand Theater. We had center balcony seats. Great seats and a great show. Visited the new Cabelas in Berlin, MA. Went to Mohegan Sun with Patty. We stayed in a Deluxe King Room, ate at Summer Shack. Then while Patty was in her seminar I had the breakfast Buffet, then a Starbucks iced Cold Brew with soy milk. Then I played some video poker and quit while I was ahead. 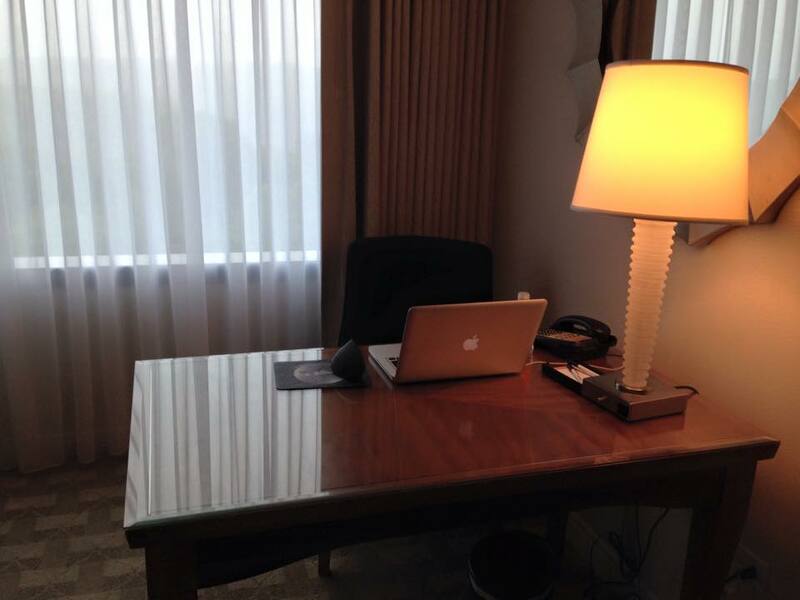 The rest of the day I used the room as my writing retreat. After Patty got out of the seminar we had dinner at the buffet then played video poker and slots. The next day found me at the buffet. After Patty finished her seminar we played some more video poker. I won $10.00 in slot play, turned it into $36.00 and then cashed out. Haha! A win is a win! Then we poked around Brookstone, avoiding the sales girl. Another round of Starbucks and we were homeward bound. Stayed overnight at the Coachman Inn in Kittery, ME. Shopped at the outlets and then had a nice dinner at Weathervane. The Inn provided breakfast the next morning. Then we shopped more and went to Kittery Trading Post. Back to Weathervane for lunch, and then some Starbucks Cold Brew to fortify us as we fought the Memorial Day traffic home. Ender’s Game ** 1/2 I found this movie fun but it lacked an indefinable something. Dawn of the Planet of the Apes ** After all the hype surrounding this film, I was left disappointed. I found it vapid and cliche. To get myself back on track I began listening to the Anthony Robbins audio program Get the Edge again. Completed the goal setting workshop to fine tune my life’s direction. This entry was posted in Goals, Writing and tagged Anthology, Anthony Robbins, Authors, Books, Fiction, Goals, Horror, Kindle, Martial Arts, Thriller on May 3, 2015 by David North-Martino. In an attempt to keep up the momentum with this blog, I’ve decided to give you another update. This one will list out what I worked on during the month of February. It hasn’t been bad for a short month. 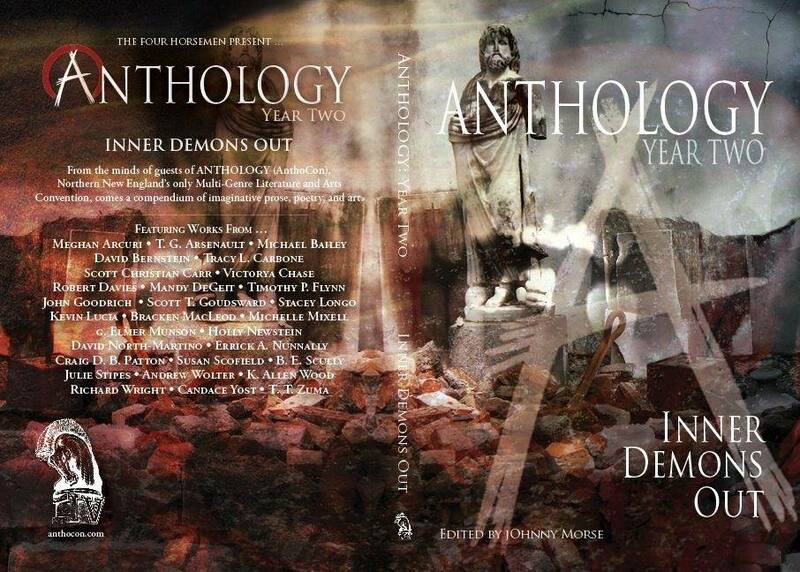 I received and approved the galley proof edits of my SF/Horror story “Sat Down Inside Her” that will appear in the 3rd annual New England Horror Writer’s anthology. Also, provided an updated bio for the book. I began work on a reimagining of an unsold 3k short story formerly known as Halloween’s Child. Having learned a lot about crafting a salable story since I wrote the original version in 2011, I was hit with a bit of inspiration on how I might make it viable. I’ve already tacked on a new opening scene and smoothed out the writing. Much like my novel WOLVES OF VENGEANCE, this story combines horror with the thriller genre. And I’m definitely expanding the thriller component. The horror thriller is kinda becoming my thing. Year of the Demon (Conspiracy/Crime Thriller): I continued working on the 3rd draft of this 90,000 word novel. As I really dig in and polish the work I realize how much I’ve learned since I began writing this draft. The polishing stage is always the most frustrating and the most rewarding. So much needs to be fixed and rearranged, but it’s always fulfilling when the work is near to its final form. The Tower (Paranormal Haunting/Woman in Jeopardy Crime Thriller): I’m now approximately 20,250 or 81 pages into the first draft of this novel. So far, it feels like the best thing I’ve ever written. And yes, this novel would be considered a horror or supernatural thriller. Proxy Mate (Dystopian SF): I haven’t made a lot of progress on this novella. My process is to work on multiple stories at a time. If I get stuck on one I just let it sit while I work on something else. 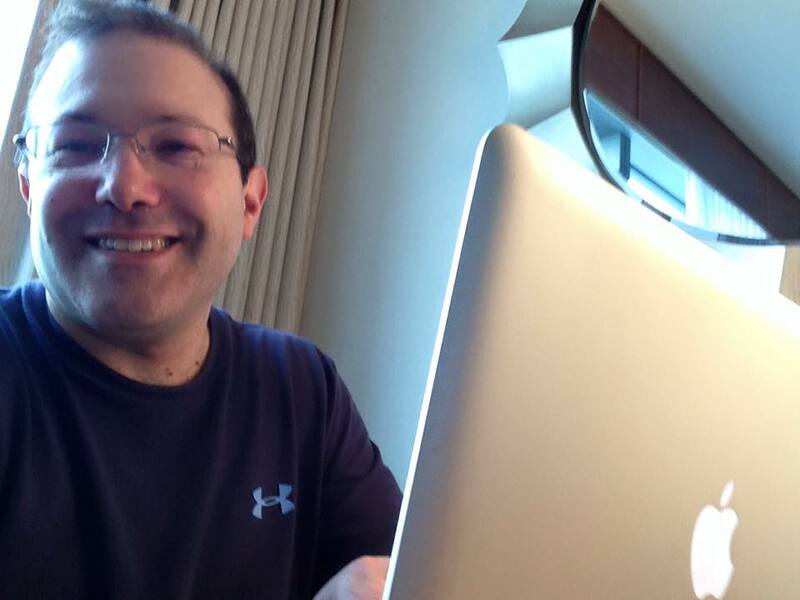 I also tend to move back and forth between stories during my writing time. I’ve found I’m more productive this way, but some stories fall by the wayside. I’m sure I’ll get back to it in the month of March. As it stands, I’m 11,250 words or 45 pages into this novella. I finished A Different Kind of Slumber by Doug Rinaldi. You can find my review here. I’m still working on the Indie Writer’s Pack. I’m 50% in and reading Let’s get Digital. I started The Vanishing Magic of Snow by Reb MacRath and am 30% of the way in and loving it. Continued editing a novella for a writer friend. Helped a writer friend with research. Kept up with writer friends on social media. Called my Mom & Dad twice a week on average this month. Called my Aunt and Uncle to thank them for a gift. Burned CDs for my Mom & Aunt. Visited my Mom & Dad for breakfast. Celebrated my birthday (Just like Jack Benny, I’ve had another 39th birthday). Gave Patty roses for Valentine’s Day. Sent my nephew a copy of the Signed Limited Edition Hardcover of The Zombie Survival Guide by Max Brooks for his birthday. Another month where I unfortunately didn’t make any seminars. Five rounds of shadow boxing 2-3 times a week with Patty. Practiced Kali sinawali solo and with Patty. Lost two pounds of fat this month. Slow and steady–I’ll take it. I’ve been in a biphasic sleeping pattern. Next month I need to change my schedule to allow for more sleep time during the night. Had a Field of Vision Test. The test came out perfectly. I have no glaucoma damage. Had an appointment with my glaucoma specialist. He changed my eye drops to a lower dosage of medication, and moved me over from a generic to a brand name. He gave me a discount card to reduce the cost of the medication. We sold our Wii that had been sitting in the entertainment center gathering dust. I cleaned out and organized the entertainment center. I unplugged any electronics we haven’t been using to save on the electric bill. I tried Glenfiddich 12 this month. I find it has a smoother taste, less complex, more candied, more like a bourbon, and less mouth burn/heat. I like it best of all the whisky I’ve tried. Not a big month for movies. Busy, busy, busy! After Earth: ** mediocre, muddled, miscast. This entry was posted in Goals, Martial Arts, Writing and tagged Anthology, Anthony Robbins, Fiction, Goals, Horror, Martial Arts, Paranormal, Science Fiction, Supernatural Thriller, Suspense, Thriller, Writing on March 4, 2015 by David North-Martino. 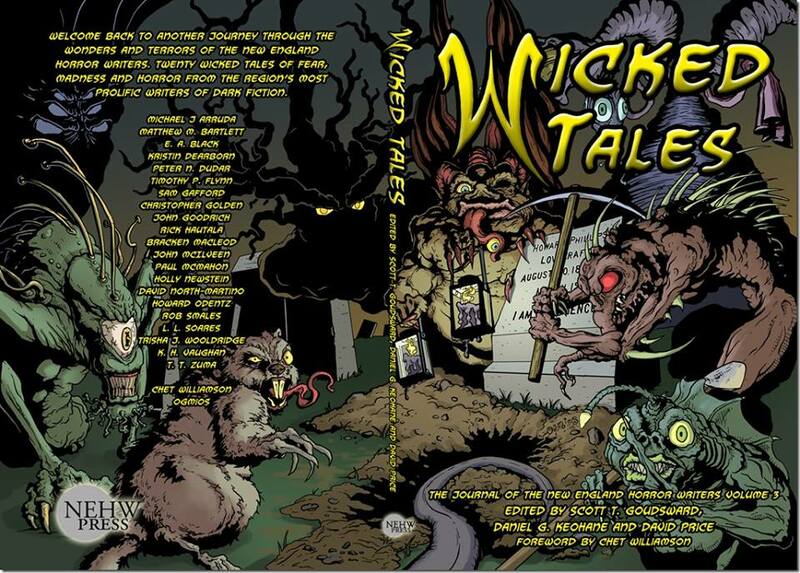 My SF/Horror story “Sat Down Inside Her” was accepted into the untitled 3rd annual New England Horror Writer’s anthology slated for an early summer release. More information to come. I received a rejection from a top market with a “hope to see more stories from you in the future” from the editor. As one writer commented on FB, “I hope you know that’s a fabulous response.” Some of my non-writer friends don’t understand how a rejection can be a good thing. Suffice it to say that when an editor from a top pro market says he’d like to see more of your work, you know your writing is near or at the level of that market. All that it will take is writing a story that catches the editor’s fancy to get an acceptance letter. Maybe that and a little luck. As you can well imagine, cracking this market has been put on the top of my goal list. Year of the Demon (Conspiracy/Crime Thriller): I began working on the 3rd draft of this 90,000 word novel. The Tower (Paranormal Haunting/Woman in Jeopardy Crime Thriller) : I’m approximately 15,200 words or 61 pages into the first draft of this novel. Currently, I’m projecting that it will run about 90,000 words when completed. Proxy Mate (Dystopian SF) : I’m approximately 11,250 words or 45 pages into what most likely will be a novella. At present, I have no idea how long this story will run. Wolves of Vengeance (Multi-Genre Supernatural Thriller): has had an uptick is sales and borrows this month. Updating the book description, changing the genre descriptors, and gaining a couple more glowing reviews has seemed to help. I finished Red Champagne by Reb MacRath, and highly recommend. Completed Write, Publish, Repeat. I thought it was a decent read with some interesting concepts on Indy publishing. Also began Let’s Get Digital. I just started A Different Kind of Slumber by Doug Rinaldi, and am enjoying it. Called my parents at least once per week. Kept in contact with my aunt through email. Contacted my friend and former Gothic & Arthurian lit professor through email to stay in touch. Lit a candle for my sister on the anniversary of her death. So many good seminars this month, and I wasn’t able to attend any of them. At least I got plety of training in at home. Five or six rounds of shadowboxing at least 2x per week with Patty using the Bas Rutten MMA Workout audio CDs. Lost a half inch from my waist and about a pound of fat since I began tracking again. Began using myfitnesspal again to track my weightloss and fitness goals. Utilized the original P90X DVDs a few times this month, doing about 30 minutes each (focused on Core Synergistics and Back & Chest). Had my semi-annual dental cleaning. Had D service on my car, along with an oil change. Had my car inspected and a parking light replaced. Bought a set of precision screwdrivers at Ace Hardware. I’m going to upgrade the memory in my Mac. That’s the plan, at least. I’ve enjoyed drinking Glenmorangie The Original and Glenlevit 12. I’m very new to the world of whisky snobbery, but I find that it suits me. Haha! I enjoyed a sample of Glenlevit 15, but didn’t notice much difference from the 12. Tried Talisker at the recomendation of some writer friends and have found it a very acquired taste. I’m not used to the smokey/peaty taste, and not sure I’ll ever like it. All is not lost, though. I’ll be bringing whatever is left to AnthoCon where I will be very happy to share! I survived the Blizzard of 2015. I’ll create an addendum if I think of anything else. This entry was posted in Goals, Horror, Kindle, Martial Arts, Science Fiction, Short Stories, Uncategorized, Writing and tagged Anthology, Fiction, Goals, Horror, Martial Arts on January 31, 2015 by David North-Martino. 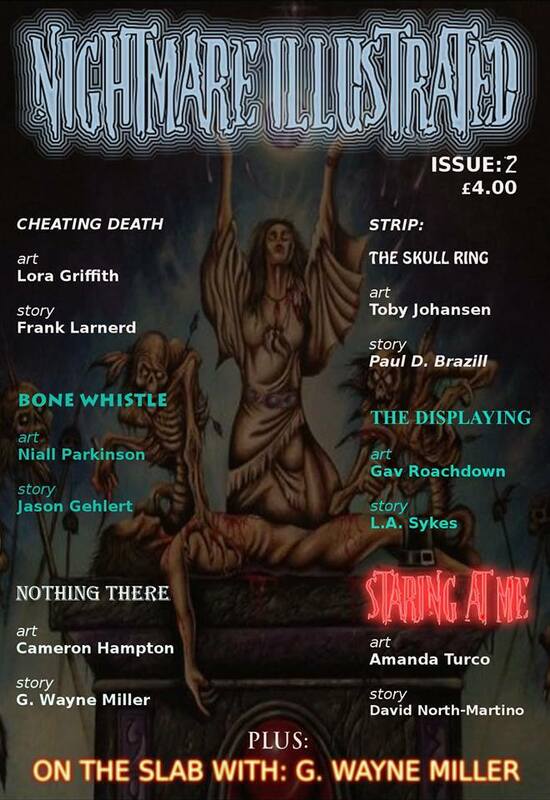 My story “Staring at Me” appears in the picto-fiction magazine Nightmare Illustrated Issue: 2, published by Horrified Press. Story artwork by the amazing Amanda Turco. This entry was posted in Uncategorized and tagged Artwork, Fiction, Horror, Illustration, Magazine on November 30, 2013 by David North-Martino.